We proudly offer these exciting and innovative Polyester, FR Polyester and Trevira CS® fabric ranges which include reversible (Jacquard weave), and also plain woven that are suitable to be printed – well qualified for the high demands of the hospitality, health and aged care markets. The fabrics are suitable for use as bedscreens, curtains, bedspreads and additionally, can be bonded for use as roller blinds and roman blinds to fully coordinated the room’s decor. The initial material for any fabric consists of fibres and yarns. They are the determining factor for the function and design of the textile fabric made from them. The more varied the fibres and yarns, the greater can be the value of the fabric design. Man-made fibres, furthermore, make it possible to build in functions that supply added value to the material. Trevira GmbH has done pioneering work in this field with its range of flame retardant fibres and yarns. As long ago as 1980 the first Trevira CS® textiles made from these fibres and yarns came on the market. What is special about them is that they all meet important fire safety standards and achieve this without any chemical finish. The permanently flame retardant polyester fibres constitute the basis for a new generation of functional textiles – their flame retardant properties cannot be washed out or be lost with age or usage. The Plain Fabrics are composed of Trevira CS® Bioactive. Bioactive exercises a permanently antimicrobial effect that is not affected either by washing or usage. 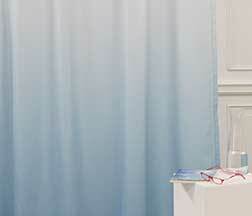 View a wide range of Print Designs for use with our basecloths, Comet and Starlight. Or talk to us about your customised design. 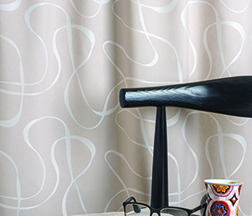 The Reversible Fabrics are treated with SILVERPLUS® for optimum results. SILVERPLUS® unique technology provides hygienic and fresh effects of the element silver as impregnations and coatings to the fabric.